I’m on pins & needles for a video of this collection to surface but for now, we can enjoy stills! Liu Wen, Gwen Loos, Iekliene Stange, Constance Jablonski & Anya Kazakova of Marilyn Agency for Stella McCartney Resort 2011. Photos sourced from Mariln Blog via WWD & Zimbio. 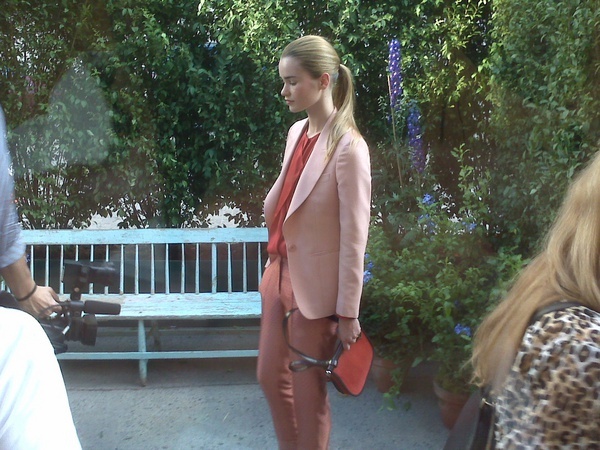 Above shots sourced from Stella McCartney’s Twitter here. 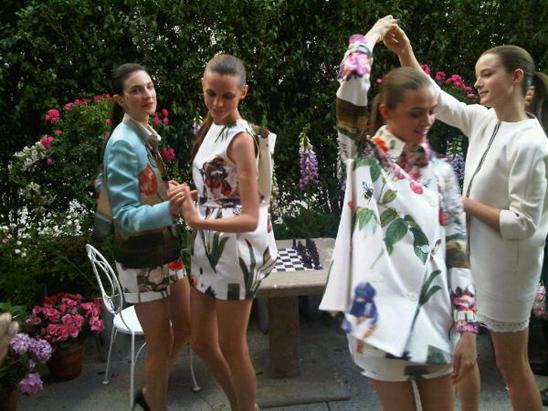 Models dancing & posing at Stella McCartney’s Garden Party Presentation of her 2011 Resort collection. 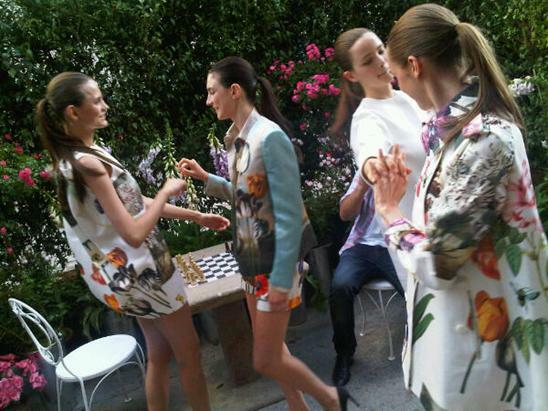 There is pure joy in my heart when I see models dancing! :p All photos sourced from the NECESSARY Tweets of Jim Shi. If you have any interest in fashion, you NEED to follow him. Seriously. Kate Hudson, Stella McCartney & Naomi Watts from behind.